There’s something about this EP release from artist and songwriter Chapell that is endearingly delicate and real. The lyrical honesty is certainly a part of this, but it’s also the honesty and perhaps vulnerability that comes through in the singer’s leading voice, not to mention the organic softness of the surrounding, supporting instrumentation. Beginning with the title track, the melody and ambiance work well together in creating a particularly calm and reflective aura. 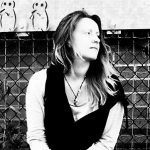 As you follow the story line along, it occasionally feels like there’s an element of freestyle expression involved – almost like a diary entry or stream of consciousness. On the other hand, this concept of the Soul Man, the hook, the poetic references – there’s a contrastingly structured and artistic side to it all that in turn offers up a beautifully well balanced and captivating soundscape. The final few moments are huge, the two melodies, the repetition of the line – this desire or need to be free – it’s a powerful outro that leaves you feeling a little lonely after it leaves. The sudden quietness begs for you to replay the song. 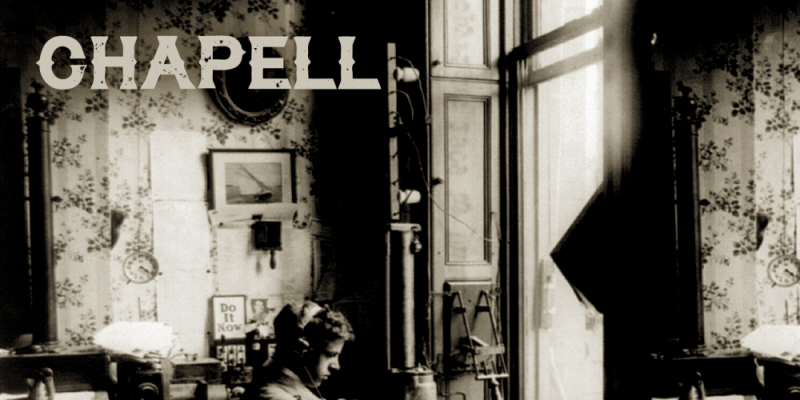 Chapell’s writing style has a definite freshness to it that is a pleasure to listen to right now. At the same time, it’s a style that brings a touch of nostalgia – a reminder of creatives and performers from the 60’s and 70’s. The somewhat retro instrumentation featured on My Baby Loves Me Now helps add to this effect, though the soundscape soon erupts into a colourful and multilayered ocean of audio that soaks you in positive vibes and causes you to ponder or perhaps even seek to book in a live performance. Watercolors seems entirely different again, perhaps it’s the opening instrumentation – the ascending string section alongside of the acoustic guitar works beautifully. What emerges thereafter is a fairly rock-inspired song that showcases a stylish melody and an immediately compelling and memorable build up and hook. It’s a song that satisfies, you can hear the rising passion in the artist’s voice and in the musicality, and this passes on as things progress – just as any bright and powerful piece of music should. The louder you listen, the better the effect, in my opinion. This particular song presents unpredictable lyricism on top of a quickly familiar set-up, so you soon learn to love it, and it would in fact make the perfect choice for inclusion on a driving playlist. A folk rock aura comes in later on in the track, and this too furthers that feeling of the unexpected. It’s a welcome surprise and increases my belief that this song is a definite personal highlight. The Soul Man project is really enjoyable, to the point that actually four songs seems too few – though it’s far better to leave your audience wanting more than to over saturate the space. There’s no filler here, everything is interesting, honest, and real. She’s On Fire is the closing song. Once again, an unexpected soundtrack emerges – the horn section and the rhythm of the melody-line make for something quite funk-inspired, still with that touch of the slightly retro, still with that now familiar voice, the tone, and the fresh approach to lyricism. The song brings the EP to an end in a bright and joyful manner, sealing the deal with regard to this being a go-to collection for an evening spent relaxing with friends or making the drive across town. Lovely to listen to. Find & follow Chapell on Facebook, Twitter & Instagram.